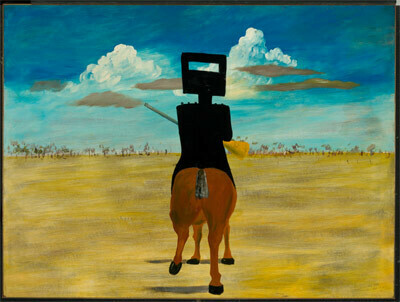 Currently, on display until 26 May, 2019 at the Geelong Art Gallery is Sidney Nolan's Ned Kelly Series exhibition. Geelong Art Gallery is the exclusive Victorian venue. Sidney Nolan's famous paintings of bushranger Edward 'Ned' Kelly are one of the greatest series of Australian paintings of the 20th century. Nolan painted the majority of these works in glossy enamel-like paint on the dining-room table at Heide Museum of Modern Art; the home of John and Sunday Reed in Bulleen, a suburb of Melbourne. The National Gallery of Australia holds 26 of the 27 paintings in the series after Sunday Reed donated them in 1977. 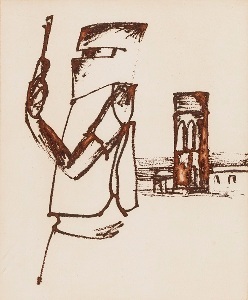 To coincide with the Sidney Nolan's Ned Kelly Series exhibition, a selection of work's from the Gallery's collection are on display that were of interest to Sidney Nolan. This works features are prior to and following his acclaimed Kelly series of enamel paintings from 1946–47. There are several events which are happening during the duration which can be found here. You have until 26 May, 2019 to visit the Geelong Art Gallery to view the Sidney Nolan's Ned Kelly Series exhibition. This is a unique display as these works are rarely seen in Australia outside of Canberra.